A few years ago my mom suggested that I get my dad a zero gravity chair for Father’s Day. I had seen them advertised, but I was not exactly sure how they functioned. I ended up buying him the chair and tested it out for a week before I gave it to him (sorry dad!). It was by no means the best zero gravity chair, but it was amazingly comfortable. After my test run, I had to have one. The name zero gravity might sound a bit futuristic or complex for a lounge chair; however, theses chairs are very simple to use. Howstuffworks.com explains that these chairs get their name from the reclining position that astronauts are in upon liftoff. Zero gravity chairs are designed to distribute your weight over the entire chair, which is why so many people find them amazingly comfortable. Are you going to feel like you are in zero gravity when you are in one of these chairs? Probably not, but you will likely feel super relaxed and potentially relieved of body stress. Below is a list of some of the best zero gravity chairs. If you are looking to buy one of these chairs, the below list should be a good guide for your search. 43.5 inches x 22 inches x 21.3 inches. This highly rated zero gravity chair isn’t by any means the cheapest chair on our list, but many people express their satisfaction with the quality and comfort that it offers. The chair weighs 23.4 pounds, which is heavier than many other models. However, the weight contributes to the chairs sturdiness. You won’t feel like you will tip over when sitting down or adjusting the reclining position. The chair is stable enough hold up to 350 pounds and reaches 72 inches (6 feet) when fully reclined. People over 6 feet can use this chair, but their feet will likely hang over the foot rest bar when reclined. Reviewers of this product who are a few inches over 6 feet claim that this chair is still comfortable for them. This zero gravity chair has a lever on each side of the arm rests. When these levers are pushed up, you able to recline back or move toward a seated position. Once you find a comfortable reclining position, you can lock in your reclined position by pushing the levers down. The manufacturers made it super easy to lock and unlock the reclining option. We highly doubt people will have trouble operating this chair after a couple of uses. The headrest is adjustable and removable. It can be locked into place once you find a comfortable position. The plastic cup holder can also be removed and can accommodate numerous cup sizes. Metal parts may rust if left outside in the snow, rain, etc. There are two chairs pictured above for a reason. If you order these Goplus zero gravity chairs, you will receive not one, but two quality chairs for a reasonable price. One of the excellent features of these chairs is their ability to fold. This makes storing them in your garage, basement, or other area super easy. One chair weighs only 15.9 pounds. With the chairs’ ability to fold and their light weight, they are simple for most people to transport to an area such as a beach or the park. One of the highlights of these chairs is their very large cup holder/tray. They contain dual beverage holders, a magazine holder, and a slot for a cell phone. There is additional room on the trays flat surface for snacks or other items. Realistically, you could load your tray with essentials and sit for hours without having to move. These chairs use a lever beneath the armrest to lock and unlock the ability to recline. Simply push back with your hands on the armrest and the chair will recline when the lever is in the unlock position. Once you find your ideal position, lock it in using the level. Other people who have reviewed this product have indicated that the ability to recline in this chair is near effortless. May need to bring them in out of the elements to help preserve them. At least one reviewer claimed that the chairs did not hold up to the sunshine. One of the features that sets this chair a part from many others is the sleek extra-large wood armrests. They fit beautifully in with the darker brown and black colors on the cushion. It is difficult to find a zero gravity chair that adds a level of class to your yard like this one. While most people appreciate furniture that looks nice in their yard, they also expect quality. This chair is made with a heavy-duty steel frame that is designed to last. It is super sturdy so you are likely not going to feel like the chair is going to collapse whenever you sit down. It is difficult to tell from the above picture, but the cushion fabric is nice and thick which adds to the comfort. Most people will not feel claustrophobic in this chair because of the large area between the two armrests. One reviewer of this chair indicated that the ergonomics of the handles make it slightly difficult for some people (older people, people flexibility issues) to get out of the chair. This is another sturdy and heavy duty zero gravity chair made with steel tubes. You will notice that these chairs are much more colorful than your typical zero gravity chair. These chairs are great for adding a bit of excitement to your yard without being overly flashy. One key feature to note is that these chairs are made with adjustable armrests. I know how annoying armrests can be when they are out of place for your personal preference. These chairs provide at least a little room to play with when in comes to adjusting the armrests for comfort. You will need to buy the cup holder/tray separately. This tray/cup holder is popular choice that fits on most zero gravity chairs. Without a doubt , the highlight of this chair is the suede cushion that contributes to its overall comfort. The chair is usable with or without the cushion, but we think it adds to the chair’s visual appeal. The cushion nicely covers the length of the chair so most people will be fully exposed to its comfort. Below are a few budget friendly options (under $50.00) for zero gravity chairs. While these chairs are inexpensive compared to many other similar chairs, they are still considered quality chairs by many people. AmazonBasics products are often regarded for their quality while not putting a major dent in your wallet. That being said, there is a lot to like about this chair. Firstly, it looks way more expensive than its cost. Additionally, the weather-resistant fabric helps keep this chair looking presentable and you don’t have to continuously drag it out of the elements to protect it. A bonus feature of the fabric is that it does not retain heat. 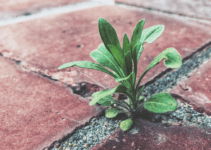 You do not have to worry about sitting in discomfort on the often hot days that most of us experience for at least part of the year. At 16.5 pounds, this is lightweight for most people to comfortably carry around. Wisely, Amazon made this a foldable chair to make it super easy transport. The very popular Caravan Sports Infinity zero gravity chair is the choice of many who are seeking an affordable option. The chair offers the user the ability to lock their position in using a dual finger tip locking system found under the armrests. The frame is steel to provide a nice base for support. This two person zero gravity chair is great for sharing a seat with friends, family, or a partner. You can operate the chair as a single person when not in use as a dual seat. It folds to allow for easy storage or to pack into the back of a car. The chair is made from UV-resistant material to help it withstand the elements. Heavier than your average single seat chair. It may be difficult for some people to carry a long distance. As zero gravity chairs have gained popularity over recent years, the chair selection has dramatically increased. With so many options available today, you should not settle for a chair that does not have most or if not all of the features you expect. Price: Chairs typically are priced from about $40 to well over $200 or more. Most people have a certain price range that they want to shop in. Once a price range is established, you will have a much easier time selecting from a narrowed down group of products. Does this chair fold for easy carrying or storage? Does the chair hold enough weight for the individuals who will use it? When the chair is reclined, is the chair long enough to accommodate the height of the people who will use it? How well will this chair stand up to the elements? Can this chair be left outside for an extend time? Is the chair made with weather resistant material? Are the metal parts of the chair known to rust? Does the chair have a cup holder or tray? Does the chair have a reclining lock in feature that I like? Does the chair have a canopy to block the sun? Is the seat wide enough for the users to be comfortable? Is the chair a color I will be happy with for the months and years to come? Study: After you finally narrow down your zero gravity chairs to a handful or less, we highly recommended doing a thorough examination of the chair’s reviews on Amazon and potentially other websites. You will learn valuable information about the product from people who have actually tested it out. Can zero gravity chairs be used inside? Yes, these chairs can be used inside for gaming, watching TV, extra seating, and more. Does a zero gravity chair lay flat? No, when reclined, the typical zero gravity chair is designed to allow your feet and head to be elevated above your mid-section. There may be an exception here and there, but the major do not lay flat. Can you lay on your stomach in a zero gravity chair? These chairs are not designed for stomach laying since they do not recline flat. It would likely be very uncomfortable or awkward to lay on your stomach in a zero gravity chair. Do zero gravity chairs fold up? Some do and others do not. Check the chairs features before buying if the ability for it to fold is important to you. These chairs are typically designed with locking levers under the armrests that you push or pull to lock the chair in place at the desired reclined position. How much should I spend on a chair? Most people have a certain price range that they are willing or able to spend there money on for a product. You can get a pretty nice zero gravity chair for around $150 or less. It is simply a matter of finding the best chair for your money. Are zero gravity chairs assembled when shipped? Generally, zero gravity chairs come assembled. You may have to attach the cup holder/tray, canopy, or other attachment. However, the seating area is typically ready to go for many models. We tried to appeal to a variety of tastes with our above selections. We, at Peak Yard,, hope you were able to find a quality chair that fits your needs. Again, we highly recommend that you read the reviews of the various chairs before you make a final chair selection. Reviews often provide invaluable information to help guide you to the right choice. 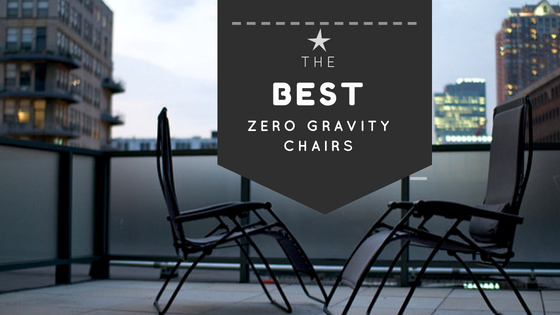 That being said, we feel like we produced a quality list of the best zero gravity chairs. Can You Use a Patio Umbrella at the Beach?